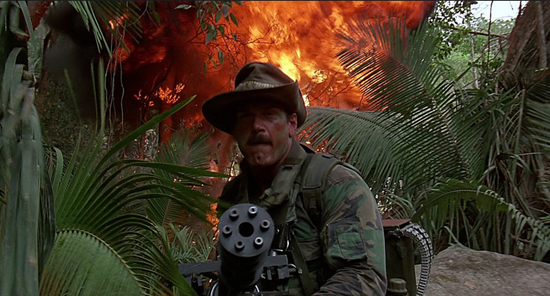 Google Helpouts and Jesse Ventura’s character in Predator have much in common: They both showed early promise, but got killed off way too soon. Well, on second thought, I guess that’s all they have in common. Unlike the just-retired Google Helpouts, Jesse actually put up a fight. 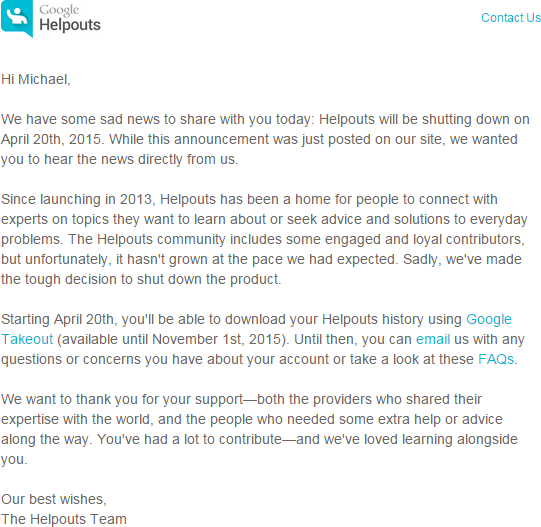 As you may know, Helpouts was a way to talk with an “expert” over video chat – specifically Google Hangouts. It showed promise as a way for “local” business owners to win leads by talking with customers and helping them with questions or problems. Give before you get. A while back, Google asked me to participate in this program, which I did sign up, set up etc. I never, ever, received a single inquiry from anyone. You had asked if you could monitor this with me as it progressed. It really went nowhere for me, and as this email states, for anyone else it appears. It’s a shame that Helpouts ended up exactly as I predicted it would back in September of 2013. Maybe it’ll have a longer career as a governor of Minnesota. What was your experience with Helpouts? What offering do you think is next on Google’s chopping block? I didn’t pay any attention to that program. Meanwhile from reading the above and reading the comments from Wilton Tire, it would seem that program would be absolutely great on FB and probably used a lot and with good application. The most powerful thing I continue to see on FB is when one of my relatives asks friends of her(s) (it always seems to be a number of my female cousins) for advice, with either a generic product or a local vendor. They are all getting great advice directly into their feeds from their friends. 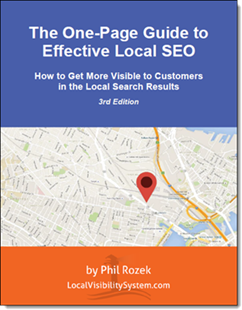 Of course when its local, Phil, it defines EVERYTHING you want in all your local campaigns; great word of mouth from trusted friends or family. Nothing could be better. Its also great for a generic product or brand. Then friends from all around chip in with astonishing advice, including throwing out web coupons. ha ha. I’d think a “help out” type thing on FB would work very well there. Its an established very large social media network…not something trying to become a social network. Great point, Dave. I can’t picture FB doing a helpout-type thing at least for a while, but I’m sure they’d pull it off better than Google did (i.e. they’ll at least try).